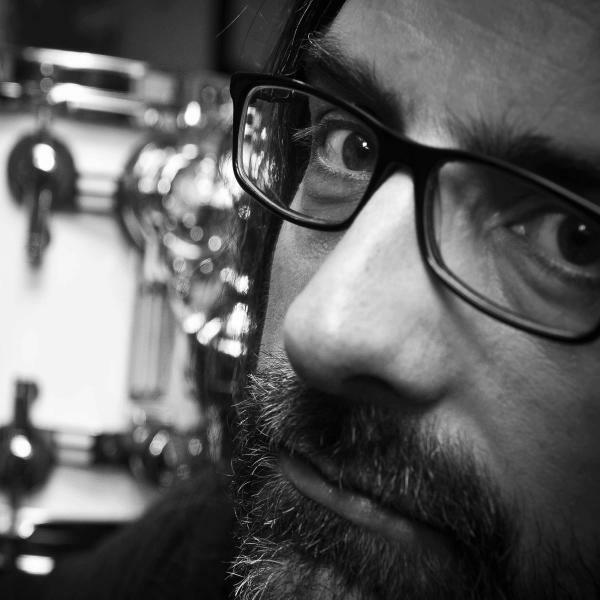 Drummer, percussionist and electro-acoustic composer, he has earned numerous prices and ackowledgements both inside and outside Italy. He plays and records throughout Europe with R. Alessi, C. Barthélémy, S. Battaglia, T. Berne, C. Bley, S. Coleman, M. Demuru, E. Eskelin, M. Godard, C. Jauniaux, S. Lacy, E. Parker, G. Petrella, D. Pifarély, H. Poulsen, E. Reijseger, M. Riessler, E. Sharp, D. Shea, C. Speed, A. Succi e S. Swallow. Between 1996 and 1998 he founded his label Unorthodox Recordings. Both in 2001 and 2002 the Italian magazine Musica Jazz mentioned him as one of the best new Italian talents. In May 2006’s issue, the prestigious magazine Modern Drummer reviewed his cd “Drawing/Opus 2: Paul Klee” as Cd Of The Month. His music has been the subject of two thesis dissertations: Alessio Riccio: suonando Klee (Roma, 2008) and Alessio Riccio: suono e strumento tra spazio tecnico ed evoluzione meccanica (Siena, 2009). He has contributed to or championed the creation of more than thirty projects including cds, videos and cd- rom, twelve of which as a leader or co-leader. Alessio has a website at www.alessioriccio.com.